Capacitors must be built to tolerate voltages and currents in excess of their ratings according to standards. The applicable standard for power capacitors is IEEE Std 18-2002, IEEE Standard for Shunt Power Capacitors. Additional information is given in IEEE Std 1036-1992, IEEE Guide for Application of Shunt Power Capacitors. IEEE Std 18-2002 gives the following continuous overload limits. Short time overload voltages were specified in IEEE Std 18-1992 (on older version of the standard) and IEEE Std 1036-1992 and are listed below. 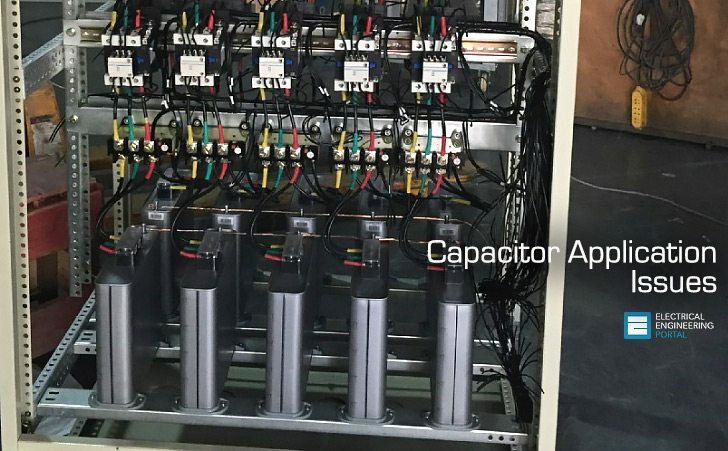 These standards state that a capacitor may be expected to see a combination of 300 such overvoltages in its service life. Note that these overvoltages are “…without superimposed transients or harmonic content”. An even older version of the standard, IEEE Std 18-1980, also included the following permissible overvoltages. It should be noted that some capacitor manufacturers make heavy duty capacitors particularly for industrial environments. This manufacturer rates the continuous overvoltage capability at 125% (as opposed to 110%) and its continuous peak overvoltage capability at 135% (as opposed to 120%). When doing power system studies it is important to compare the measured or calculated voltages or currents against these ratings. In different study cases, different ratings will apply. For example, harmonics are a steady-state phenomenon so the continuous limits would need to be considered. However, voltage harmonics resulting from a relatively short term event, such as transformer energization inrush, might be compared against the short time overload ratings. One of the interesting implications of these overvoltage allowances is that capacitors can be applied at voltages in excess of their ratings for very short periods of time. Why would one do this? The main reason is because the kvar produced by a capacitor is related to the square of the voltage ratio. For example, a capacitor applied at a voltage 40% higher than its nameplate will produce double its nameplate kvar. Title: Capacitor Application Issues – Thomas M. Blooming, P.E., Daniel J. Carnovale, P.E.